More Tel Aviv restaurants transitioning to state Rabbinate kosher certificate supervision. 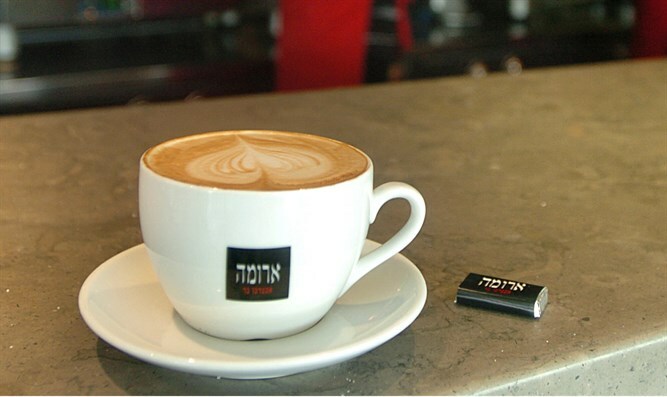 Two Tel Aviv branches of the Aroma café chain which had used kosher certifications provided by the Tzohar organization have transitioned to the state-sanctioned kashrut system of the Chief Rabbinate in Tel Aviv-Jaffa. The religious council in Tel Aviv reports a wave of restaurants seeking to join the rabbinate’s kosher system. Some of these restaurants have not been kosher before, while used alternative certification providers, like Tzohar. “We are pleased to see that the demand for kashrut in Tel Aviv is not a passing fad, but rather a clear trend in recent years, which enables the kosher public and restaurant enthusiasts to enjoy a wide variety of kosher restaurants and food houses," Religious Council Chairman Eldad Mizrahi said. Mizrahi notes a few names of the prestigious restaurants that operate in Tel Aviv and enjoy rabbinic ordinances, such as, the Georgian restaurant “Racha”, the vegan “Za’haim”, “Nomi” by Chef Yoram Nitzan, “Donya” by Chef Meir Adoni, “Malka” by Chef Eyal Shani, Alma Lounge”, “Bar Pavela” and more. In a response to the report, Tzohar said that Aroma's two Tel Aviv locations which had ceased to use their certification services were rare exceptions, claiming that by and large, few restaurants were dropping Tzohar's kosher certification.